Dermot qualified from the University of Sydney in 2000 before returning to Melbourne to undertake his Ophthalmology training at the Royal Victorian Eye and Ear Hospital. He completed two subspecialist Corneal Fellowships first at the Royal Victorian Eye and Ear Hospital here in Melbourne and subsequently a Corneal, External eye disease and Laser Refractive Surgical Fellowship at the Manchester Royal Eye Hospital in the United Kingdom. 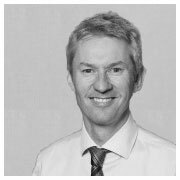 Dermot undertook a Consultant appointment in Corneal and Anterior Segment surgery at the same institution prior to returning to Melbourne where he has a Consultant appointment on the Corneal Unit at RVEEH as well as consulting in private practice. When not at work, Dermot’s other passions include spending time with his young family, playing tennis or any other sport on offer and listening to music. Dermot has presented at International meetings and published in his area of subspecialty in peer-reviewed journals.